Bay Club condos are located next to the Huntington Harbour and just blocks to the sandy beach in Huntington Beach, California. This is a large condo complex that was built between 1990 to 1991 and features two bedroom condos that range in size from 1,479 to 2,161 square feet of living space. There were a total of 36 units built here with select condos offering ocean views. The views are amazing and overlook the Marina looking towards Davenport Island. Monthly association dues include use of the community pool, spa, sauna, subterranean parking and boat slips based on availability. 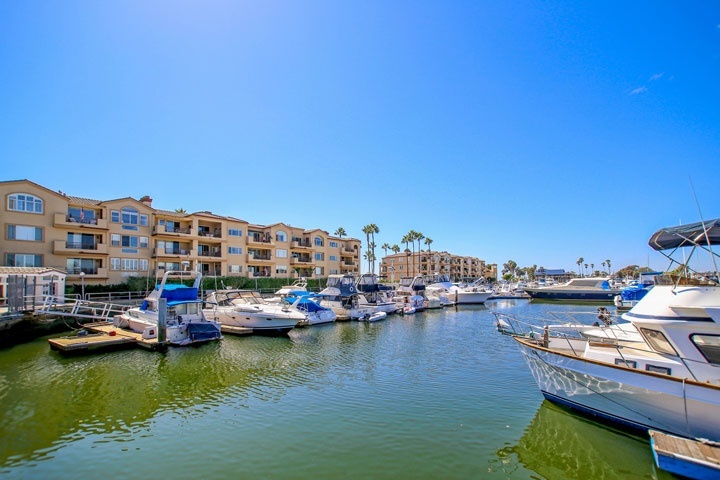 Below are the current Bay Club condos for sale and for lease in Huntington Beach. Please contact us at 888-990-7111 with questions regarding this community and any of the condos listed for sale here.